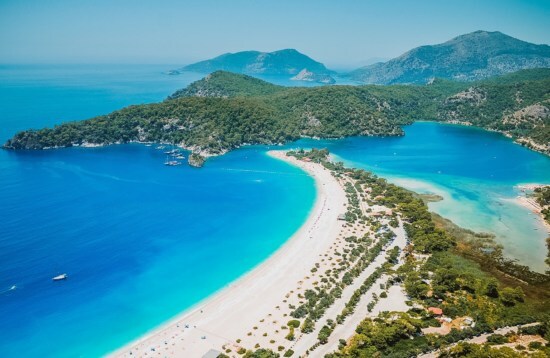 Encompassing the island of Kekova and the villages of Kaleköy and Üçağız, Kekova is a spectacular coastal region and one of the most popular stops on Blue Cruise gulet tours. Its idyllic turquoise waters harbour a fascinating sunken city, with semi-submerged stone buildings creating a surreal landscape. 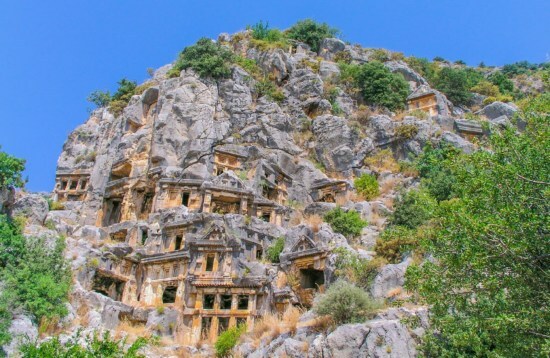 It was in the 2nd century that an earthquake caused the ancient town of Dolchiste/Dolikisthe on the northern side of Kekova Island to be destroyed. It was rebuilt and flourished during the Byzantine period, only to be completely abandoned following Arab invasions. Although you are not allowed to swim around the sunken ruins of Dolchiste, they still make for a fascinating sight above the water. 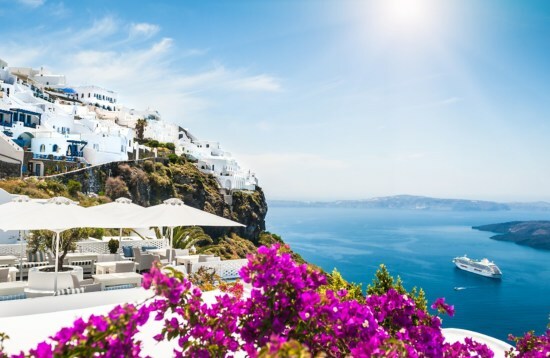 In the nearby bay of Tersane, which was the site of an ancient dockyard and city known as Xera, visitors are able to swim and get a close-up look at the ruins of a Byzantine church. Akvaryum Bay is another spot where you can take a dip in the inviting waters as you explore the islands and ruins of Kekova. 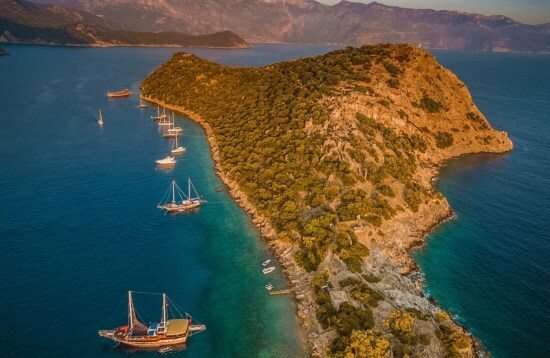 Don’t miss a visit to the nearby Kaleköy Castle on the island of Simena, which boasts magnificent views of the islands and Lycian necropolis that lies partially sunken below. This Byzantine fortress was built in the Middle Ages to ward off pirates that patrolled the coast, with a 300-seat theatre still visible below the old fortifications. The castle is surrounded by winding, narrow streets lined with terracotta-roofed houses, with the offshore sunken ruins of the Titus Baths nestling at the base. Stop to explore the acropolis relics and sarcophagi of Üçaǧız, which was built on the site of ancient Teimiussa and whose ruins date back to the 4th century BC. The name "Üçağız" translates as "three mouths” and refers to the three watery channels that lead to the open waters of the Mediterranean Sea. 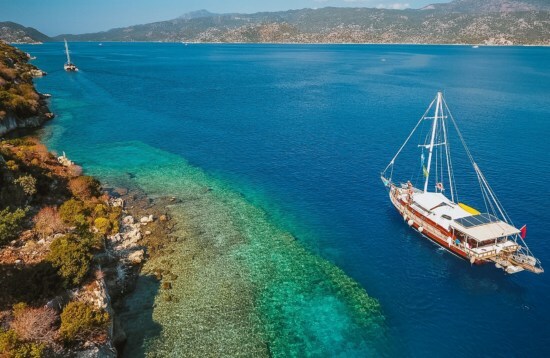 Blue Cruise gulet trips from Fethiye to Antalya stop at Kekova, with the charming town of Kaş situated just to the west. 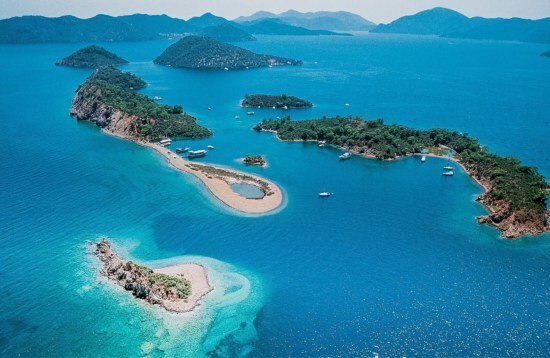 Kekova Island is also within a stone’s throw of Demre and the area can only be accessed by sea.